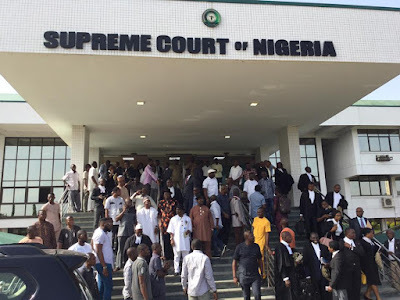 A Seven Member Supreme Court Justice led by Justice Ibrahim Tanko today dismissed the Appeal filed by the Governorship candidate of the All Progressive Congress(APC) Chief Timipre Sylva against the Electoral Victory of Governor Timipre Sylva of Bayelsa State. The borne of contention of the APC Governorship candidate in Bayelsa Chief Timipre Sylva was the result of Southern Ijaw Local Government Area. Timipre Sylva had through his lawyer asked the Supreme Court to declare him winner of the December 2015 and January 2016 Governorship election in Bayelsa State on grounds that INEC had no power to cancel results of Southern Ijaw Local Government Area.